A third shadow is nigh. 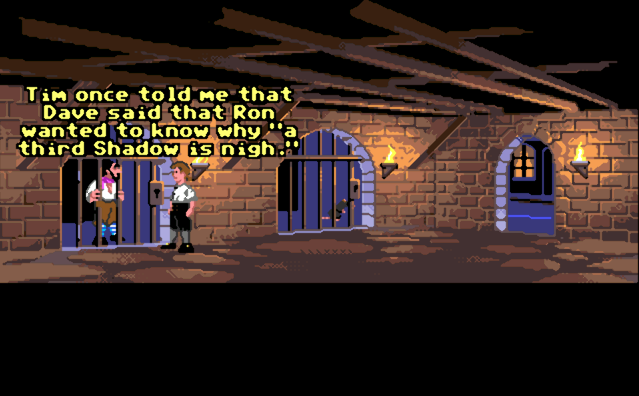 In the demo, when you ask Otis, the prisoner, for the magic phrase, he says "Tim once told me that Dave said that Ron wanted to know why a third shadow is nigh. ", Tim, Dave, and Ron are Tim Schafer, Dave Grossman, and Ron Gilbert, the trio who created The Secret of Monkey Island. "A third shadow is nigh" is a quote from Loom.